We support a liberal religious tradition that respects ideas, values diversity, and encourages the exploration of spirituality and life’s meaning. Being a Unitarian Universalist means taking personal responsibility for your own religious life. No one will try to remake you religiously. We won’t offer you “final and absolute truths” or rigid dogma. Instead, we try to provide a stimulating and congenial atmosphere in which you may seek answers…in which you may ask new questions…in which you are free to discover the best that is in you. We reject the idea that a book or institution is superior to the conscience and intellect of a morally responsible human being. We affirm that your spiritual well-being is yours to determine. No one else can live your own life for you. This short video speaks to the principals that Unitarian Universalist hold to be true, how from the roots of the Reformation in Europe, two traditions, steeped in social justice and the belief in the inherent worth and dignity of all people, joined together in 1961 to become the Unitarian Universalist Fellowship. The principals of this tradition were present in the beliefs of several of our founding fathers’ and are a part of the underpinnings of our Declaration of Independence and our United States Constitution. Come, listen to our story for you may find your own thoughts expressed here. UUFBC welcomes individuals and families regardless of sexual or affectional orientation, gender identity or expression, race or ethnicity, ability/disability, class, age, or language and citizenship status. UUFBC extends a warm welcome to lesbian, gay, bisexual, transgender, and queer (LGBTQ) individuals, families, and communities. We work to promote acceptance, inclusion, understanding, and equity for LGBTQ persons of all ages, abilities, colors, and genders, both within our denomination and in society at large. We are committed to protecting the civil and legal rights of LGBTQ people and families across the country. UUFBC also actively supports the Panama City chapter of PFLAG (Parents, Families and Friends of Lesbians and Gays). We are a religious group with individual beliefs, led by the democratic process. 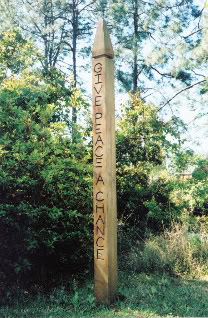 We provide a nurturing place to express ourselves and to enrich Bay County by our Works.